3 Beds 2.50 Baths 1,734 Sq. ft. Description: Weston Ranch! 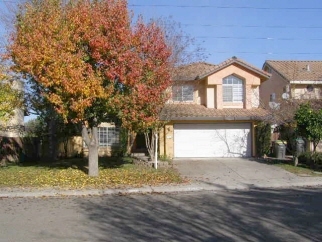 South Stockton 2-level 3 bedroom 2.5 bath home in good condition. Incudes formal dining room, family room, inside laundry and 2-car garage. Private equity seller (not REO or short sale)! Previously rented for $1295 monthly. Seller may consider carrying back some financing. Submit best offer.